This was a plant I rescued from our front lawn. As in, literally part of the lawn, being mowed every few weeks all summer long every year since we moved in 3 years ago. 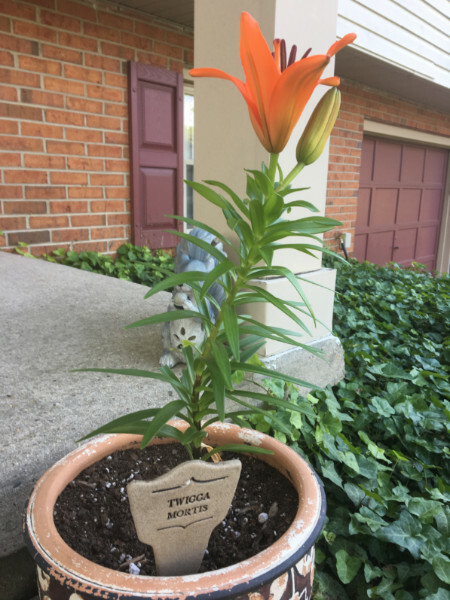 I put it in a pot and left it on the porch. 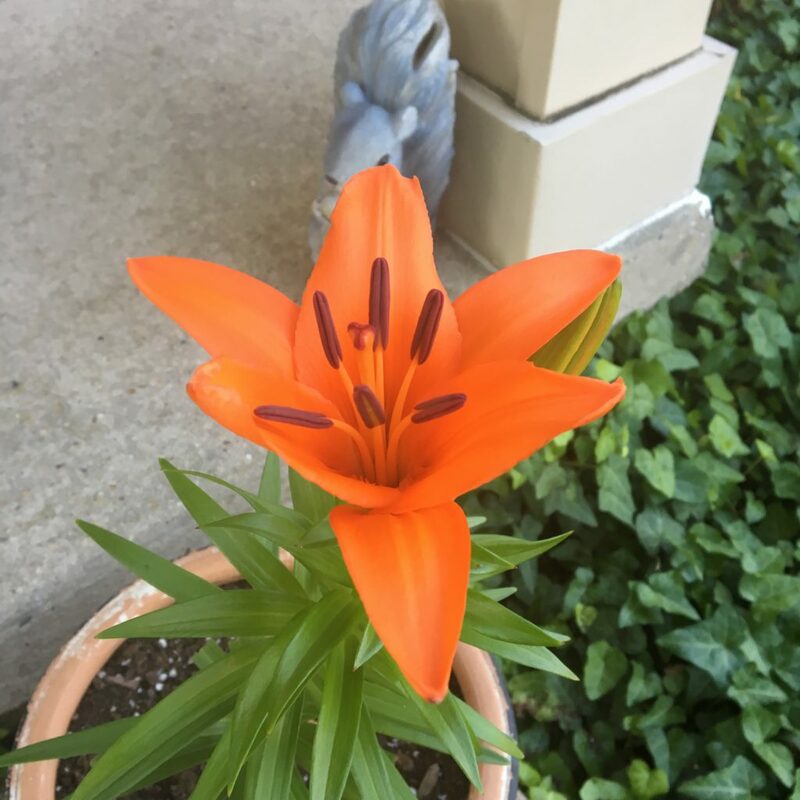 I believe it’s some kind of tiger daylily. And despite the pessmistic plant label, it thrived.